Russia's actions in Ukraine are not the only challenge to relations with the United States. U.S. plans for ballistic missile defense (BMD) capability in Europe have led to aggressive rhetoric from Moscow, which continues at the time of this writing even though attention in the West is focused almost exclusively on Ukraine. Russia’s strenuous opposition to the U.S. European Phased Adaptive Approach plans is based on claims that this capability is intended to compromise Russia’s nuclear deterrent capability. Most of these claims have been dismissed as groundless. Yet, all discussion of the subject highlights the U.S. current and proposed deployments, and entirely ignores Russia’s own missile interception systems, which are claimed to have comparable capability. Russia protests that U.S. missiles pose a potential threat to strategic stability, and has made belligerent threats of direct military action to prevent their deployment. But no mention at all is made of the strategic implications of Russia’s own systems, despite the fact that if the performance and capabilities claimed for them by Russian sources are accurate, they pose at least as great a threat to deterrence as do those of the United States. 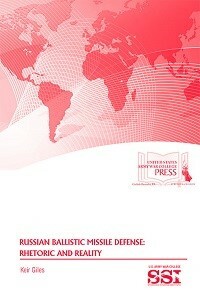 This monograph aims to describe Russia’s claims for its missile defense systems, and, where possible, to assess the likelihood that these claims are true. This will form a basis for considering whether discussion of Russian capabilities should be an integral part of future conversations with Russia on the deployment of U.S. and allied BMD assets.